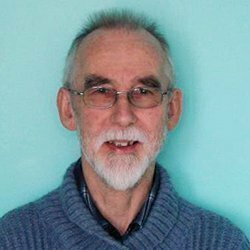 Born and brought up near Camborne, Derek R. Williams has retained close links with his Cornish homeland, despite working in the Welsh Marches as a librarian for many years before his recent retirement. He was educated at Redruth Grammar School and the University of Leicester before studying for a Diploma in Education at St Luke’s College, Exeter. Having quickly realised that teaching was not for him, he spent some time gaining library experience in Exeter University Library before studying for a Diploma in Librarianship at Birmingham Polytechnic. From the 1950s through to the 1990s, Richard Jenkin was at the very centre of Cornish cultural and political life and an important figure in the revival of Cornish consciousness. This book features examples of Jenkin’s writings, both poetry and prose, and reminiscences and tributes from personal friends and colleagues as well as original essays about various aspects of his work for Cornwall and the wider Celtic world. This collection of essays celebrates the life and work of Robert Morton Nance (Mordon), artist, folklorist, writer, maritime historian, founder of the Old Cornwall Societies and Grand Bard of the Cornish Gorsedd. Mark Guy Pearse (1842–1930) was a Cornish Methodist preacher, lecturer and author who, during the last quarter of the 19th century and the first of the 20th, was a household name throughout Britain and beyond.